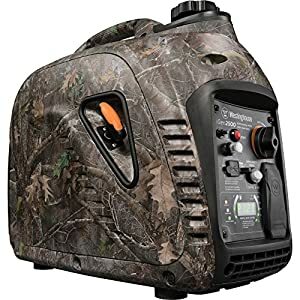 Best Portable Generators Reviews: Only 6 Out of 48 for April 2019! Generators are extremely useful in lots of situations. If the weather is awful or if you are running on a wild camp somewhere in the woods, a generator is a thing that can save your life. Or, at least, make it much more comfortable. 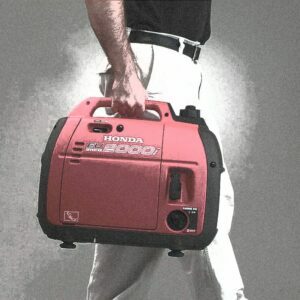 Let’s talk about portable generators here. They are mobile (so you can carry them with you), they cost less, they are quieter and they are perfect if you don’t need to power a large home. And of course, if it’s a portable generator, it must be an inverter generator. Such a device is the newest and the quietest generator for home, unlike the old, conventional generators which are loud and need more fuel to work. The thing is, the conventional generators always run at 3.600 RPM, even if you only need a little power. That’s why they work louder and use a lot of fuel to work (even if you need a small camping generator to turn the TV and fridge on, they will still burn all your fuel). The inverter generators work quieter, they are lighter and smaller, their fuel consumption isn’t too high and they are a perfect choice if you want to take it with you. However, they are still powerful enough to run all the needed electronics. I’m talking about a laptop, an air conditioner, a microwave, a TV, a fridge, etc. 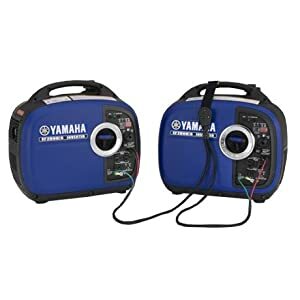 That’s what you need if you are planning to go on a wild camping trip and that’s what a portable generator can run without any problems. If you are going to take your laptop or some other sensitive electronics with you, inverter generators are basically the only choice you have, because they have a surge protection function and thus protect such devices from power fluctuations. Of course, the generator must be quiet. 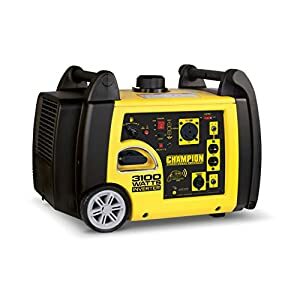 That’s not the most important thing to consider when you are choosing a stationary generator that would be located somewhere in your garage, but that’s very important when it’s right next to the trailer. No one likes noise. And don’t forget about those unwritten rules of camping — if you run your generator during the quiet hours (unless it’s strictly forbidden, of course), this generator must be as quiet as possible. That’s why you have to buy the best quiet portable generator. That seems like it would be simple, but the problems begin when you start searching. When you choose the best portable inverter generator, the very first thing you’ll have to consider is its noise level. I mean, is it really quiet? Does it really generate 50-60 dBA (like a human conversation) or is it just a marketing hook? Unfortunately, you can’t check it because there’s no way, other than buying a generator, to check if it’s really quiet or not. However, videos and verified reviews from real buyers on such websites as Amazon and eBay can help (but you’ll literally spend hours on that). Then you’ll have to pay attention to the power output of the generator. Your choice will depend on what you need — thus, a laptop consumes 65 watts, a refrigerator needs something like 600-800 watts, lights will take from 60 to 500 watts. The thing is, 6000 watts would be enough for a big house. Unfortunately, there are no 6000 watt portable (and quiet!) generators, so you’ll have to choose between 2000-4000 watts — and that’s usually enough for RVing and for emergency cases. Runtime is extremely important, too. You don’t want to be out of gas/gasoline somewhere in the woods or during the storm, right? That’s why you’ll have to check what the runtime is at 100, 50 and 25% load and how much fuel the generator consumes (hr/gal). Then pay attention to the type of the fuel. Most likely, you’ll have to choose between gasoline and diesel, and I recommend the first option. You’ll find a gas station anywhere in the United States, and it’s the most economical fuel, so leave diesel to those big and loud generators! Price is another important factor you’ll have to consider. You get what you pay for, hear this? That’s why I don’t recommend saving on the generator — but of course, I’m not saying that you should choose between Honda and Yamaha only. Here, it’s important to find the ideal balance between your needs and your budget. You can find something decent even for $600-700, but in such case, check the reliability and the reputation of the brand very, very carefully. Wouldn’t want to stuck somewhere in the forest or in the mountains without power supply just because you’ve saved $300, right? There are also many additional features that can be useful (yet they can increase the price). Some of the generators offer remote start, some of them have displays, some have a fuel gauge, an electric start or a low-oil shut-off system… Dozens of them. 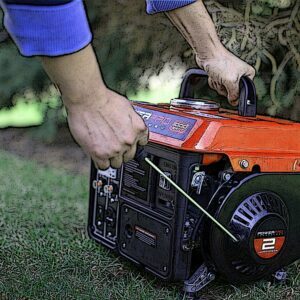 Below, you’ll find a generator ratings chart — I’ve found the 6 best portable generators for all budgets and for all purposes, described them and pointed out their main features in order to make the choice easier for you. You’ll have to choose among 6 generators, not among dozens of them — so continue reading. It can power all the loads you need — 3100 watts would be enough (if you don’t have a large 3000 watt electric kettle with you, which is unlikely). The sound level is very good — it operates at 58-60 dBA (from 20-25 feet) so it won’t cause any inconveniences either for you or for your neighbors. However, according to the reviews, it can generate more than 70 dBA in some cases, but it depends on the loading. The thing is, if you need 3000-3100 watts regularly, you’ll most likely be unpleasantly surprised by the sound level. It can reach 70 dBA, as I’ve just said, and it’s the level of the vacuum cleaner so it’s not really quiet. As for the oil consumption, well, it’s quite fine, too. 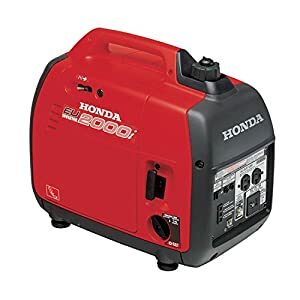 If you need only 700-800 watts, this generator would work more than 8 hours with one 1.6 gal tank, and it’s a good result. 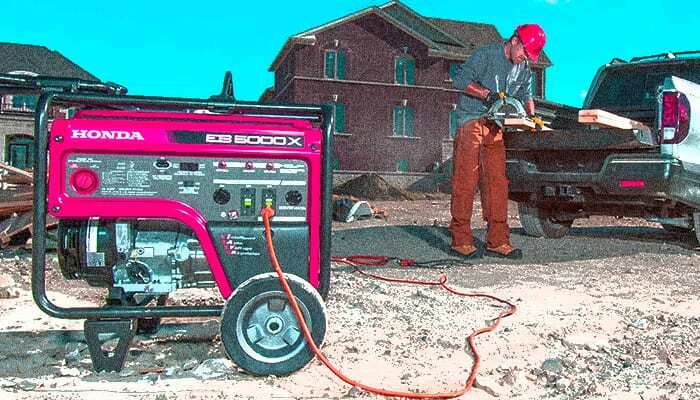 If you need 3100 watts, the generator will need 1.6 gallons of the gasoline for 2-3 hours. It’s not very lightweight (95 lbs), so you can move it easily because of the wheels, but don’t expect that it would be easy to pick it up. The remote wireless start function is amazing! The generator starts instantly, so you won’t need to go outside of the camp to start it — very cool function for the cool morning, right? The wireless start function works perfectly so you won’t have any problems with it. I also like the alternative fuel capacity — it means that after a little upgrade, this generator will be able to work on propane instead of gasoline. You’ll need to contact the manufacturer and spend something like $250 in order to do it. What about Honda? You’ve 100% heard about this company and about the quality of its products, so let’s say the reputation of the brand is the very first advantage of this product. As you see from the name, it’s definitely not the most powerful generator. 2000 watts would be enough for the most important devices only — laptop, small fridge/microwave, lights, etc. I think that’s a disadvantage, but it’s not that simple. The problem is: it’s not too powerful, but these 2000 watts make this Honda device the quietest generator for RV. Of course, when you need all 2000, it’s not silent at all, but if it doesn’t run at the highest RPM, you’ll love the sound. The absence of sound, I mean. The fuel efficiency is great here. 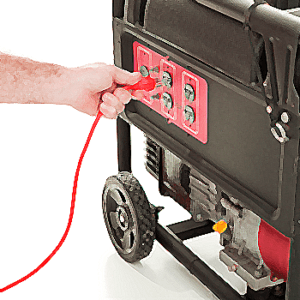 Buy 1 gal of gasoline and the generator will work up to 8 hours! Of course, the result is worse if you use it on a full load — in this case, you’ll need to fill the tank after 4 hours of work. But it’s still a very economical generator. It’s really portable, that’s another thing I like. The weight is only 45 lbs or 20 kg — you’ll easily move it and take it with you if needed. The price is quite high, but it’s worth it, without any doubts. It’s one of the best choices for RV and for emergency purposes, so if you are ready to spend a little more, pay attention to this generator. NB: It’s a very durable generator that can be with you for decades. Just don’t use gas that contains more than 10% of ethanol (E95, not E85, that’s what I’m talking about). 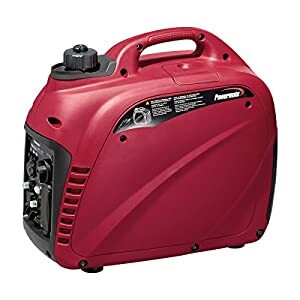 So, this one is the best portable generator for RV and other purposes for which you need a generator. It’s really quiet (not more than 60 dBA), it’s quite powerful (3000 watts), it’s fuel-efficient and it has a very good reputation — what else do you need? Well, the price can be a problem. Of course, it’s not a problem if you are ready to spend something like two thousands of dollars, but it’s still quite expensive. However, it’s worth it. The sound level is incredibly low (if you don’t need all 3000 watts, you’ll be surprised, because it will generate 49 dBA only), and you’ll be able to run all your appliances because of 3000 watts. The fuel tank capacity is 3.4 gal, and the fuel efficiency is very good. It’s extremely good, that’s what I can say — at 25% load, the generator would run up to TWENTY (20!) hours, and it’s one of the best results. Kit means that there are two generators — and it means that this is the most powerful device on this list. Up to 3600 watts, with the same low sound level, yet high price — but Japanese quality speaks for itself. The runtime is very good — up to 10 hours, of course, if you only need 25% of the generator’s power. It’s a very quiet generator (51.5 dbA if 25% loaded), so you will not create any inconvenience, so if you want to be a good RV park neighbor, you shouldn’t miss the opportunity to buy this generator. This kit is for those who need more than default 2-3k watts. The price is reasonable, considering the fact it’s very powerful and can meet all your needs. Looking for something very cheap, small, and lightweight? You’ve found it. This is a very simple and cheap inverter generator that works, and it works well! Let’s be honest, it’s not the best and not the quietest device included in my list, but it’s still very good. 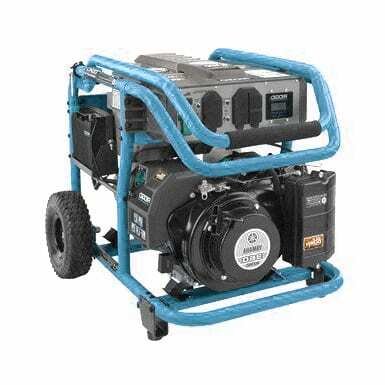 The weight of the generator is only 45 lbs (20 kg), so you can move and carry it without any problems. It’s also very small and has a good runtime (10 hours on 1.2 gal in economy mode), so it’s basically a very good choice if you don’t need something big and expensive. I love the color of this one. Camouflage makes everything better, wouldn’t you agree? Well, the specs are good, too. 2500 watts, low weight (48 lbs), low sound level (one of the lowest here) — everything you need is here. 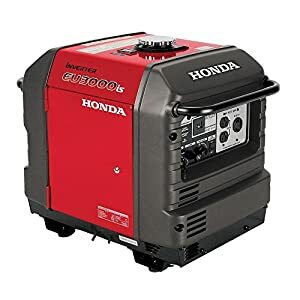 There are some premium features here, like a spark arrestor and many cutting-edge features, which make this generator even better. It’s basically another perfect choice for an average RVer of for a person who doesn’t want to be without power during hurricanes or other incidents. The gas tank capacity is only 1 gal, and it can be a problem, but the run time is very good: 10 hours if 25% loaded. The noise would be something like 52 dBA at 25% load, so don’t worry about it, too. As you see, there are many different generators — so it doesn’t really matter if you are ready to spend something like $2,000 or $500, because there are good options for every budget. The main differences are the wattage and the additional features — thus, some of the generators here have a wireless start function, some are very lightweight, some output very stable electricity (like the last device from Westinghouse). It’s up to you to choose. The only thing I’d like to say here is that I don’t recommend saving on the generator. It’s a thing that can literally save your life one day, and it’s not wise not to try to save on your life. Agree?